Gmail is the most used email service that offers a reliable service with loads of features. It has a simple interface, which offers everything to a novice user. However, behind that simple interface, it hides tons of features and customization options. You can customize pretty much everything it has to offer, and if you are willing to try some add-ons as well, you won’t need another email service ever again. Also Read: Make Your Gmail More Productive with Google’s New Inbox by Gmail – What, Why and How to Use Inbox App? Although not all of the Gmail features are available straightforward, so you need a few guidelines to use Gmail like a Pro. That is why we are here to give you few core tips to help you productively use Gmail. These are of course not all of Gmail, but these few Gmail tips and tricks should make things a lot easier. Without further ado, let’s get you productive with these 15 Gmail tips and tricks. Keyboard shortcuts are the best way to get productive with any app. Thankfully, Gmail offers a whole stream of keyboard shortcuts to navigate it entirely using the keyboard. Accessing the shortcuts is as simple as pressing “Shift+?” buttons. Just press “Shift+?” on your keyboard, and you will see all the shortcuts on the screen. You can memorize shortcuts of the functions you frequently use from this list. If you are tired of all the offers and posts dropping in your inbox, you can unsubscribe from them. However, finding all the unrequired subscription emails and unsubscribing can be a bit hectic. It is where Unroll.Me will help find all the subscriptions and opt out from them with a single click. 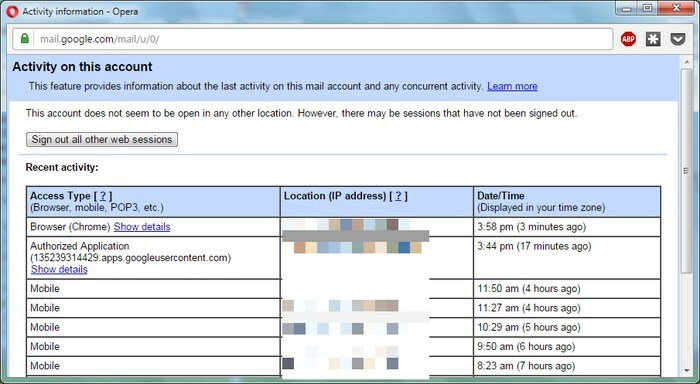 All you have to do is log in to your Gmail account and allow access to your data. Unroll.Me will neatly show all the subscribed emails, and you can easily unsubscribe. Searching for emails with a keyword is good, but did you know you can do an advanced search to pinpoint your search? For example, you can use “has: attachment” keyword to find all the emails with attachments, or “after:2015/08/07” to find all emails that came after 2015/08/07. You can get all these advanced search terms from Google Support page. If you need to access your Gmail content offline, you can use Gmail Offline extension for Chrome. It will sync all your Gmail data (may take some time) so you could access it from this extension. You can read, search and archive data anytime without any internet connection (setup requires internet connection). If you want to track when your sent email is read or how many times it is read, you can use Sidekick extension for Chrome. Just set it up in Chrome, and you will start receiving notifications when an email is read. If you have multiple Gmail accounts, you don’t need to log-in from each account to send emails. Just add them to your main account and start sending emails. To add an account, go to “Settings” from the menu with the “Gear” icon, and then go to “Accounts and Import” tab. Here, click on the “Add another email” button under “Send mail as” heading, and complete the verification process. Once verified, you should see an option to choose another email while composing the message. 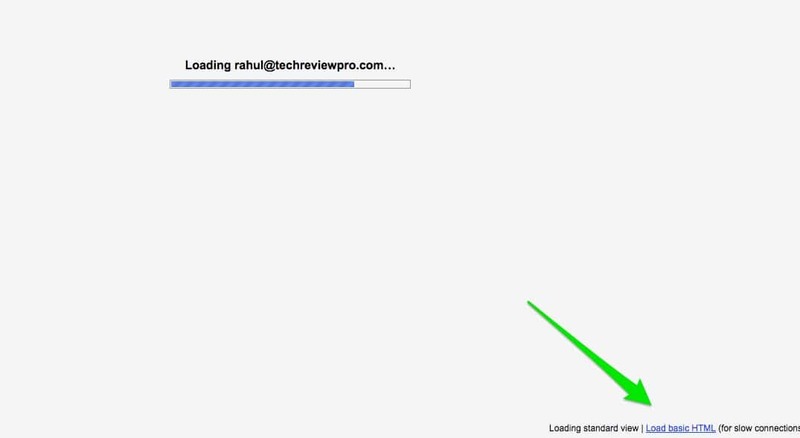 You can use Boomerang plug-in for Gmail to delay both sending and receiving messages. It will let you compose a message and automatically send it according to the specified time. Furthermore, if you want to delay emails from a particular address, Boomerang can also do that. It is a life saver feature of Gmail, but default disables it. You can undo sent messages in a specified time span once you click the send button. To enable this feature, go to “Settings” and check the option “Enable Undo Send” under the “General” tab. You can also specify waiting time there. A new window will open up where you can see all past sessions and a button to sign out from all the sessions. If you can’t delete a conversation, but it is just getting on your nerves (those Reply-All messages), then you can mute it as well. All you have to do is click on “More” while in the thread and select “Mute” from the menu. Using the “Select All” button selects all the threads on a page. However, there are times when we want to select all of the threads under a label, not just the page. For example, you can select all the “Sent” messages to “Archive” them. To do so, check the “Select All” check mark to select all the threads on that page. After that, you will see a little option above the threads saying “Select all X conversations in (Label),” click on it to select all the conversations. If you always want to use HTML version, visit HTML UI link and confirm the prompt. If you are low on your free Google drive space and thinking of removing some long emails to free up space, you can easily do so with an advanced search. Just type “size:(X)m” in the search bar and you will see all emails bigger than the specified size. Here “(X)” is the size of the emails you want to find, replace it with a number like “size:5m”. We tend to forget that Gmail also supports emoticons and has loads of emoticons built-in. 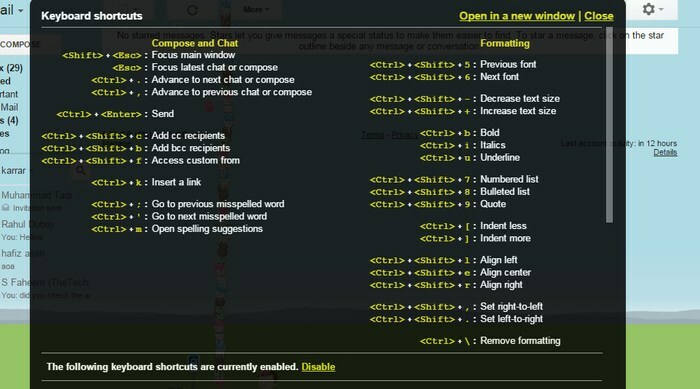 While composing an email, click on “Insert emoticon” button below to see all the emoticons you can use. They should work correctly between Gmail to Gmail emails, but they may not translate well with other email services. If you are being annoyed by a particular type of messages, then you can filter them to ensure they don’t reach your inbox. Open the email and select “Filter messages like these” from the “More” menu. 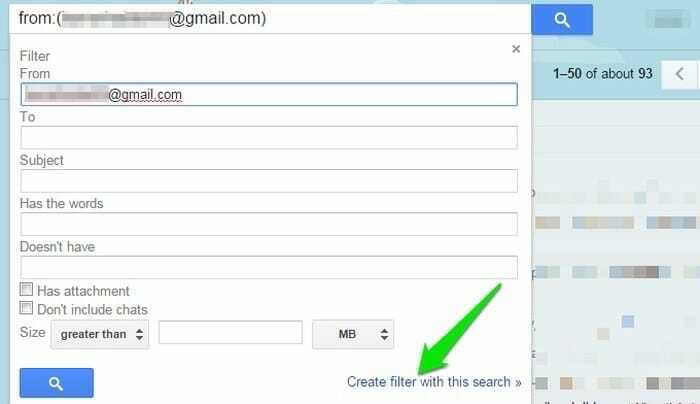 Now, click on “Create filter with this search,” and select “Skip the Inbox” option. It will archive the messages instead of adding them to the inbox. If you want to send the emails to any other label instead of archiving them, then select “Apply the label” button and choose the label. Shared Gmail Labels: Share email by just adding Gmail labels to them in your inbox. Easily assign tasks, delegate emails and track their status. We have previously shared best ticket support system for your business. However, if you are low on budget, there is a better option like Hiver as well which remains in your budget and doesn’t put a hole in your pocket. If you are a Gmail user, then you should learn few Gmail tips and tricks to make everyday tasks easier. 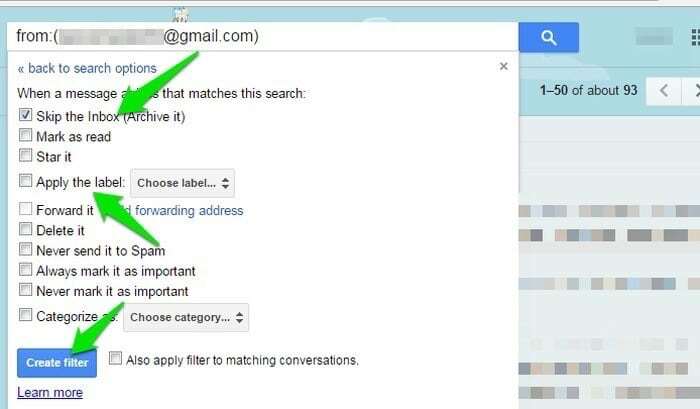 We have tried to list down few Gmail tips and tricks that should make your experience much smoother. However, there is much more to Gmail than these few tips and tricks, so you should explore it a bit to take full advantage of Gmail. Do you know any other Gmail tips and tricks that are worth a mention? Do let us all know in the comments below. How to Create and Use Your Custom Email Domain Name with Gmail/Hotmail/Yahoo? Previous: TRP Guides: How to Keep Your Android Device Secure?